Biennial Mammograms Just as Good as Annual Ones? 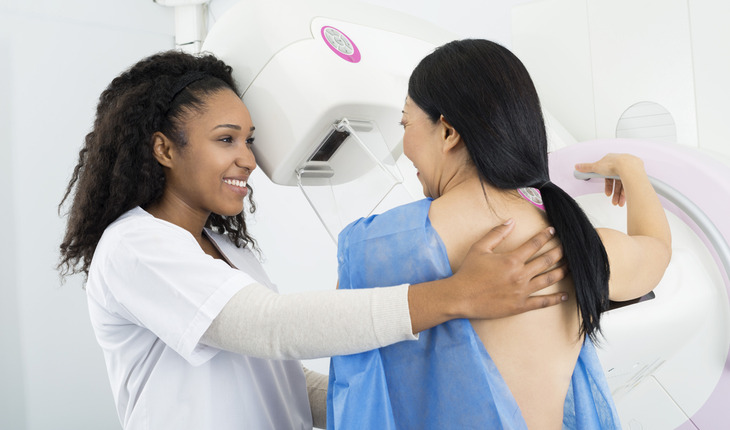 The adoption of guidelines calling for mammograms every two years for women age 50 to 75 would yield effective breast screenings and save the United States $4.3 billion a year in health care costs, a new study said. The authors, led by investigators from the University of California San Francisco, urged the adoption of guidelines developed in 2009 by the U.S. Preventive Services Task Force (USPSTF). In addition to the biennial screening of women age 50 to 74, the USPSFT called for women at 40 to 49 to be screened according to any risk factors they might have. Women 75 and older would be screened depending on any diseases they might have. The article appears in Annals of Internal Medicine. The authors call for the adoption of guidelines developed in 2009 by the U.S. Preventive Services Task Force (USPSTF). Under those guidelines, in addition to biennial screening for women age 50 to 74, women age 40 to 49 would be screened according to other risk factors, and women 75 and older would be screened depending on the presence or absence of other diseases. The authors estimate that aproximately 70 percent of women in the U.S. were screened for breast cancer in 2010, at a cost of $7.8 billion. Some women are screened annually, some biennially, and some are screened on an irregular basis. The scientists compared this current picture of breast cancer screening with three simulated models: annual screening of 85 percent of women age 40 to 84, in accordance with recommendations from the American Cancer Society and many other policymaking organizations, at an annual estimated cost of $10.1 billion; biennial screening of 85 percent of women age 50 to 70, in line with guidelines used in many European countries, at an annual estimated cost of $2.6 billion; and screening in accordance with USPSTF recommendations, which the authors estimate would cost $3.5 billion per year at a screening rate of 85 percent. “We can go one step further and learn who is at risk for what kind of breast cancer, and over time, further tailor screening by adjusting the age to start and frequency as well as include recommendations for prevention,” Esserman said. Lead author Cristina O’Donoghue, MD, currently at the University of Illinois at Chicago but with UCSF at the time of the study, noted that the billions of dollars saved from avoiding less-effective mammography screening could be used to improve women’s health.